Sponsored by Tour Buddy Service Project, All costs are Free. Combine 6 ingredients to form a theme tour, namely: Food, Clothing, Accommodation, Stroll, Education and Entertainment. Food, Shennong Old Street- Used to be called Beishi Street and is part of the Old Five Channels Cultural Zone. There are traditional snacks, artistic food area, BBQ stir-fry food restaurants and night markets along with this old street. Clothing, Guangfuhao- Created by Taiwanese Designers, a new image for traditional clothing industry. It has fashion factor into bags design, meantime set up store and on-line shop channel. Accommodation, The JJ-W Hotel- Perfect Combination of a Hotel, a Gallery and a Conference Hall. The JJ-W Hotel is a growing, evolving hotel founded upon the dedication to the history of Tainan and Taiwan. Stroll, Tainan Confucius Temple- Taking a stroll down the old streets, in central-west region, you could see this ancient temple which is like history museum carrying many anecdotes of the city for several hundreds of years. 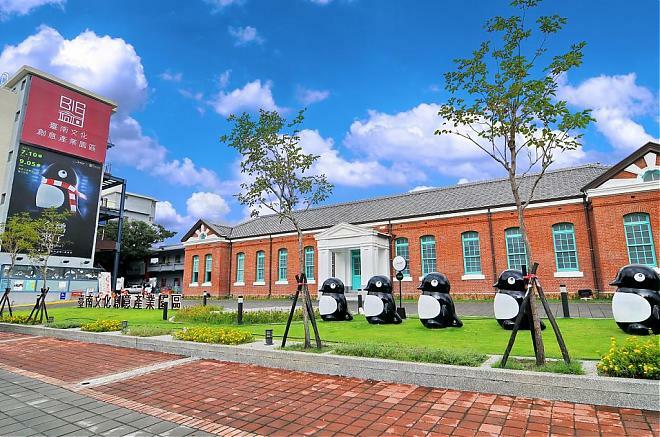 Education, National Museum of Taiwan Literature-The NMTL records, organizes and explains Taiwan's literary heritage. Archives and displays include examples from indigenous Malayo-Polynesian cultures as well as from key periods in Taiwan history. Entertainment, Hayashi Department Store- After 81 years, Hayashi Department Store will welcome a renaissance as Tainan Cultural Creative Department Store, becoming a window towards a New Modern Age telling new stories in Tainan. Tour Buddy Network, especially for Backpackers, is to attract international youth to Taiwan. 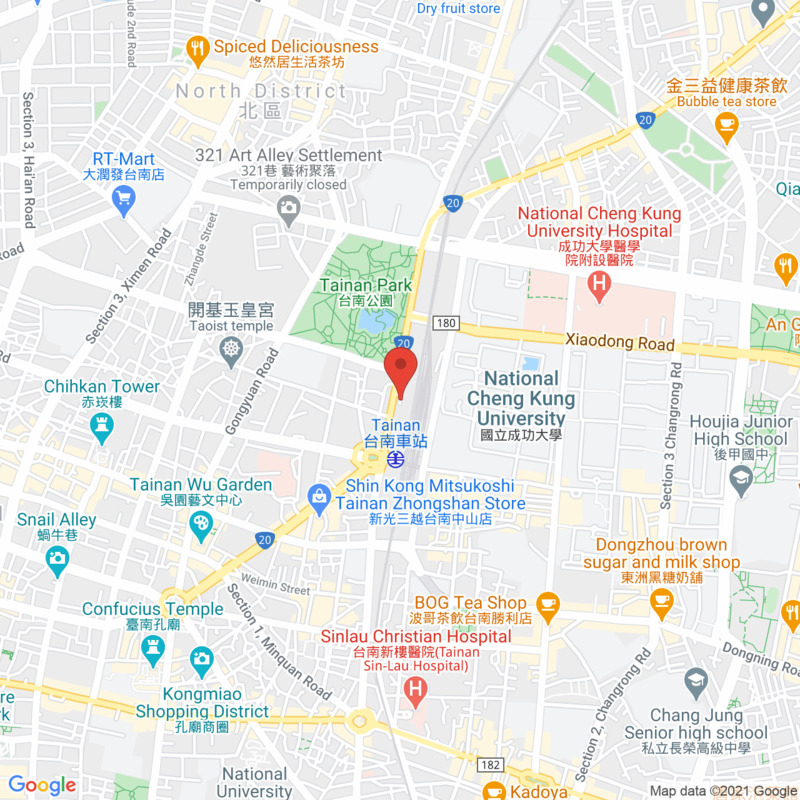 Youth Development Administration has provided the International Youth Travel Tour Buddy Service Network as a service center for international youth travelers interested in traveling to Taiwan. Each service group was asked to provide two tour lines containing the best of local attractions with free tour guides (by appointment in advance only). With volunteers from colleges across Taiwan, the Youth Development Administration hopes to promote Taiwan's travel industry to international youths by introducing Taiwan's high mountains, island scenery, diverse culture, friendly people and great food through the eyes of its youth. Year 2017 the Tour Buddy Service Project was partnered with Southern Taiwan University of Science and Technology, Department of Leisure, Recreation and Tourism Management and The Cultural and Creative Park, carrying out two distinguishing feature tours. Both tours share the common theme of experiencing Tainan Creative Life for young travelers, especially foreigners. One of the tours named「Taiwan Creative Life Youth Travel－The Cultural and Creative」is introduced as follow. You can easily experiencing the slow motion life in Tainan by traveling only with a bag, camera and a wallet. With these and a good mood, you can record every traits of corner you visited, like walking in a historical meaningful street, admiring the「Old House, New Life」 building, or looking for traditional cuisine among alley. This kind of trip can by car, bicycle or walking, but the best way is with an Electric Motorcycle for that it provides the suitable speed for you to slowly taste this old city. But the real exciting benefit using this vehicle will be no "Helmet" and "Drive License" are neneded. Most tourists self-labeled the tour to Tainan is a historical sites journey only. But our designed tour might cause your jaws dropped. 「The Cultural and Creative」 tour seeks only the attraction with cultural meaning and renovated by artist』s revivable and creative ideas. Features of this tour renew the stereotype image of Tainan as an old city only. The itinerary combines six ingredients namely Food, Dressing, Accommodation, Transportation, Education and Entertainment, for which you will re-experience the meaning of 「cultural & creative」 and the joyride feeling generated by Electric Motorcycle. 1.This guided tour provides free narration service for teenager age from 15 to 30, sponsored by Youth Travel Tour Buddy Service Project, directed by Youth Development Administration, Ministry of Education. 2.Travel insurance is not included within the tour. The Tour Buddy Service Tem will not responsible for any extra charge derived from accidents during the tour, for example car accident, injury or stolen.